In the last post, we talked about the bad wrap short term mission trips have gotten in the past few years, and ways that they can be done well. Today, I need you to follow me down to South America, to the eastern-most tip to Brazil, overlooking the Atlantic ocean. 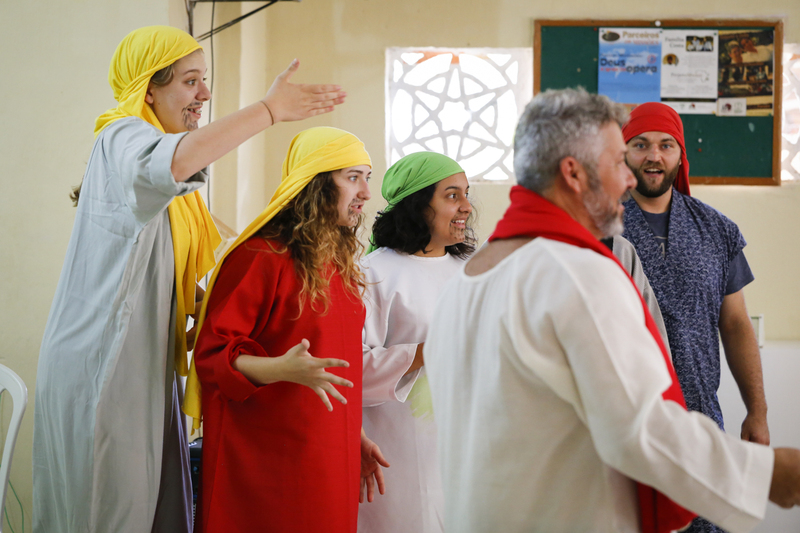 Painting, English classes, and VBS’s are all projects that have been presented as unhelpful, sometimes even harmful in the grand sweeping statements of “the church should just get rid of short-term missions trips altogether”. Once again, I disagree, and beg you to not throw out the baby with the bathwater. Just a few short weeks ago, I was in northern Brazil, doing my normal photojournalism and filmmaking job, following Steve and Liz Spellman for the week. This trip they were on was incredibly unique and unlike any I’ve yet witnessed– it was comprised of a team from First Free of Lincoln, Nebraska (15 people), and a team from southern Brazil led by Pastor Lucas (14 people, with a few added later on), doing outreach in a Evangelical Free church (add another 20 or so people here) that had never before received an American short term team. In the mix of it all were the Spellmans, as sort of ringmasters of this three ring circus, and I just tagged along dragging my camera bag. There were so many interesting elements here. The history of this particular church was very interesting, being planted 25 years ago and then kind of left to fend for itself. 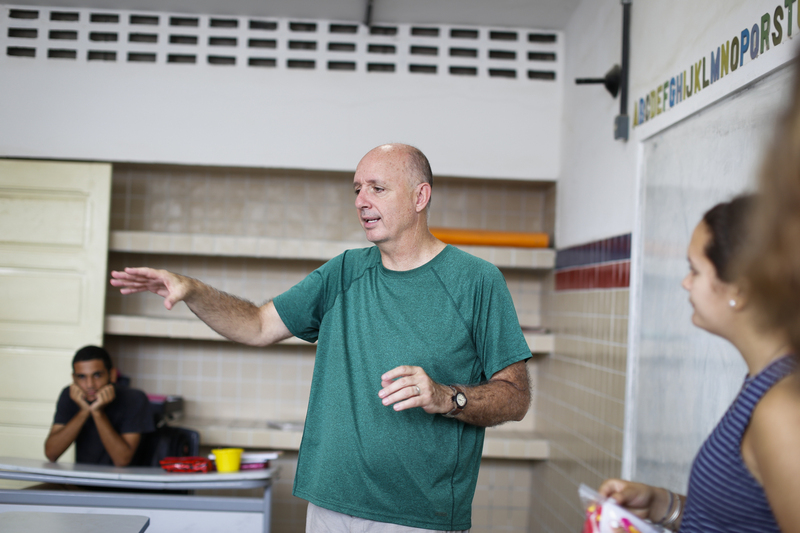 Over the past few years, Steve has established relationships with several pastors in that city to encourage and disciple them, particularly the pastor we worked with during the week, named Andre. 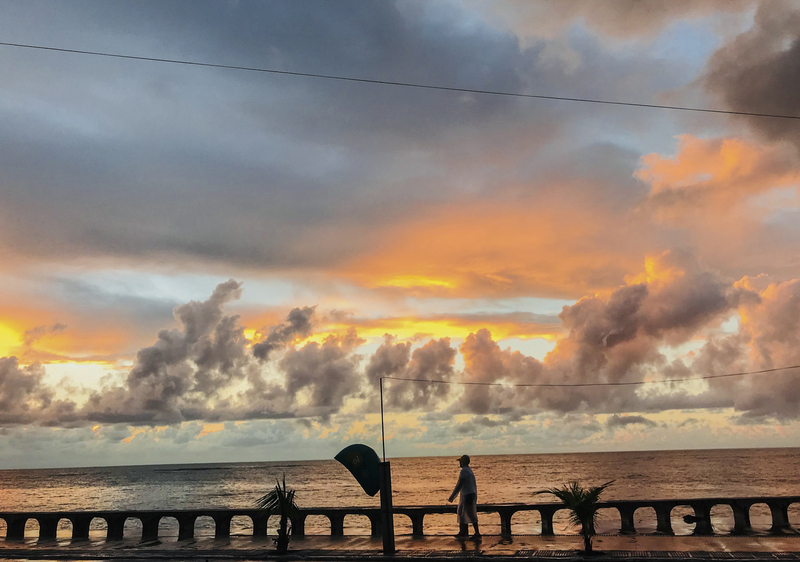 The city we were in was pretty isolated from the rest of Brazil, mostly because of distance, and had its own flavor of culture and life. 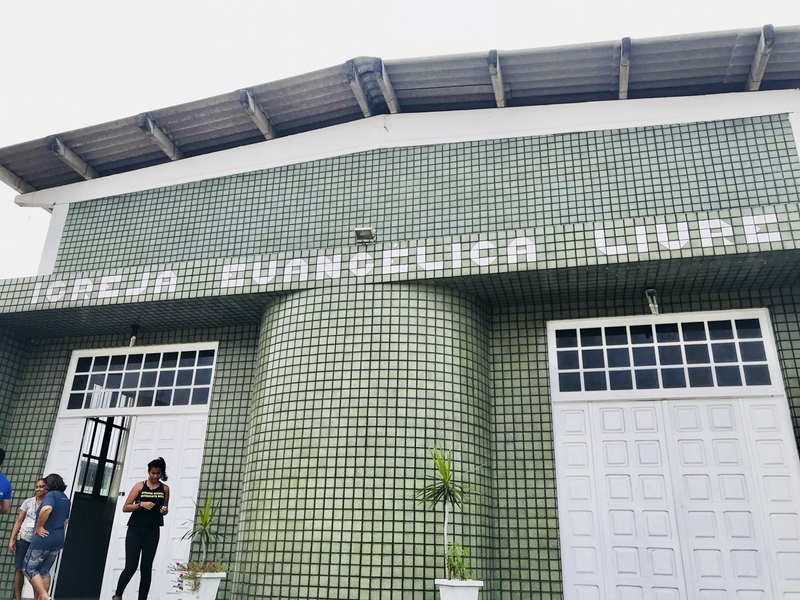 Most of the Evangelical Free churches are in the southern states of Brazil, and we were pretty far north. To give a visual comparison for the Americans reading this, it would be like church planters going from Mississippi to northern Minnesota, building a church, starting a congregation, and then going home and hoping it all works out. Fellowship, further discipleship, and accountability are necessary for every church plant, every pastor and every congregation, regardless of their location. The vision for the week and for the combined teams was to come alongside and encourage and to get to know the people of this church and their community. Encouragement in whatever ways were most needed. Another interesting element was that one of the big projects that was to be done during this particular week was the one singular thing that has gotten the worst attention on short-term missions projects EVER: painting. Painting needed to be done, to both the interior and exterior of the building. A team of many of the same southern Brazilians had come up the previous year and done some work, but much more was still left to do. Pastor Andre said that the building they were given as a church all those years ago was simply too big for them, and they didn’t have the resources to finish it or to maintain it. Church planters built it and they were supposed to finish it and maintain it, yet their congregation was small. Over the years it had its struggles like any church would. 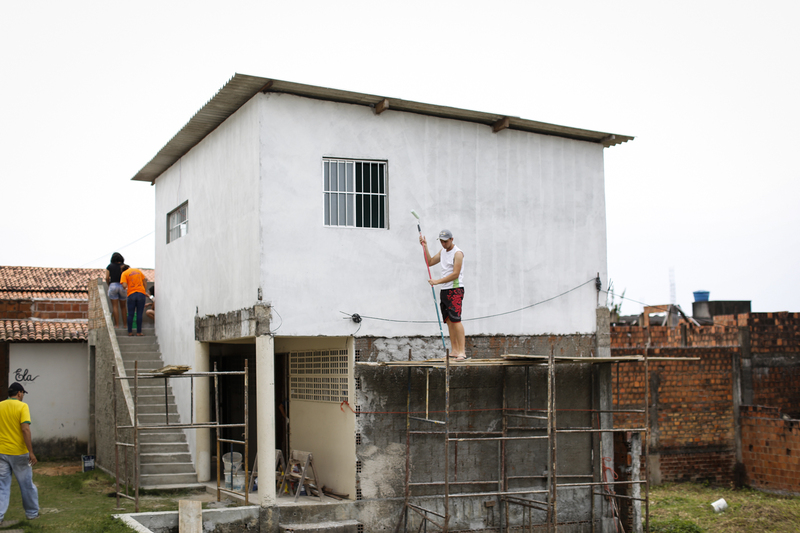 When the team of Brazilians came last year, they painted the exterior of the church, it’s first coat of paint in decades. The effect was rather incredible. The neighbors started to take notice of the building, and soon realized it was an actual church! For years they had thought it was an abandoned warehouse. They came around more, during Bible studies and community outreach days and wanted to learn more about what was going on there. The team had also painted the interior of the church and fixed the roof so that people could sit through the service during rainy season and not have to arrange their chairs around buckets catching water. They had made it a desirable place to be, a refuge from some of the dilapidated buildings around it. A coat of paint earned them respect in their community, and people started becoming interested in what was going on there. Later on in the week, smaller groups were sent out to other local churches. 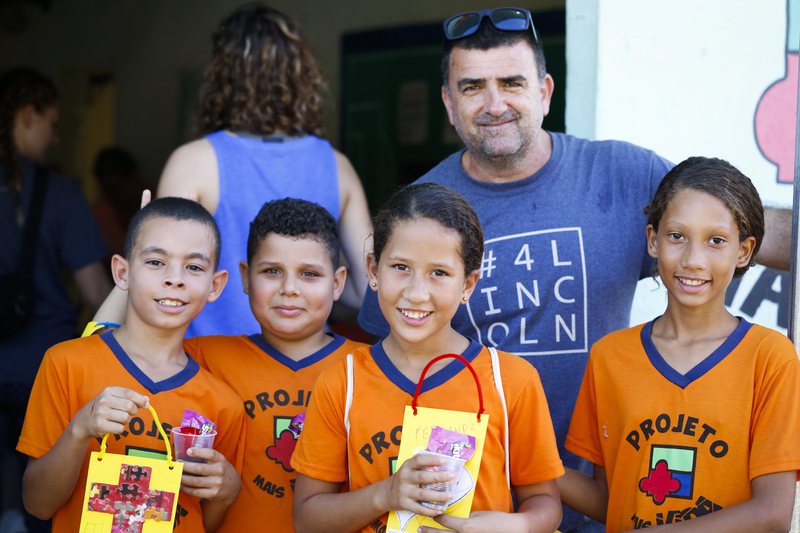 Some of the Brazilians went to a church in a difficult area, and later on they went to a community center in one of the most dangerous favelas in the city. Both times, they were able to do the same types of things–transform a neglected and ugly space into something beautiful and bright and fresh, all for the sake of building relationships. This wasn’t the horror story you hear of useless mission trips, of orphan children dirtying the walls just so the teams feel useful when they come. This was something asked for and welcomed, and done with far more purpose than just painting itself. 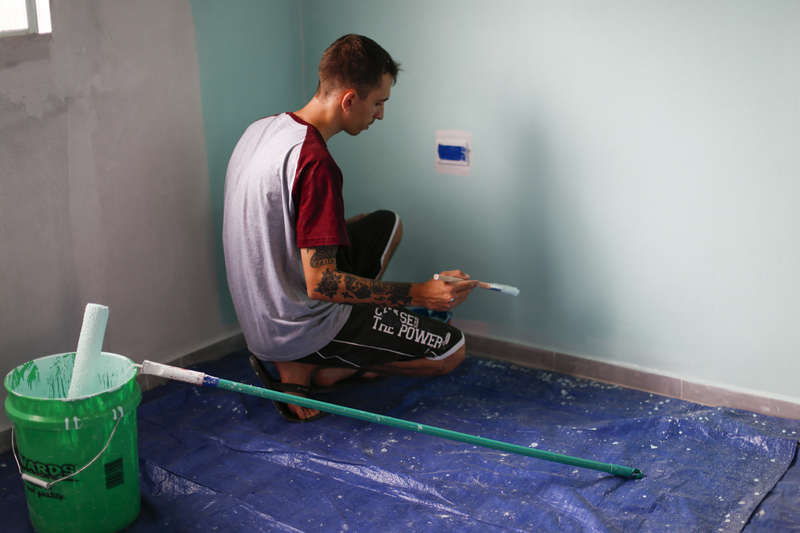 While painting was going on around the city, the American team from Nebraska was able to teach English in several local schools as well as also lead three children’s programs in different locations. With the bigger goals in mind, much more can be accomplished. 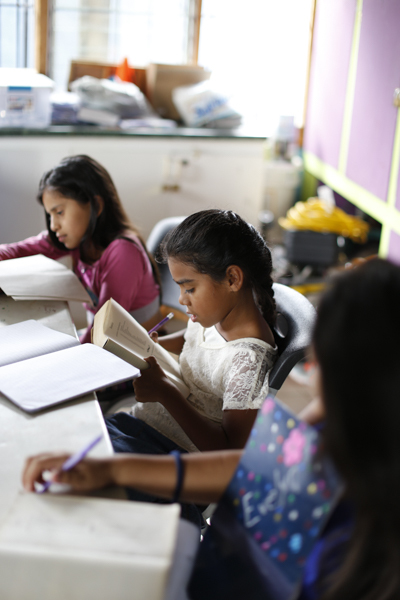 The goals weren’t for them to just teach English, or just teach children a few new games and Bible verses. 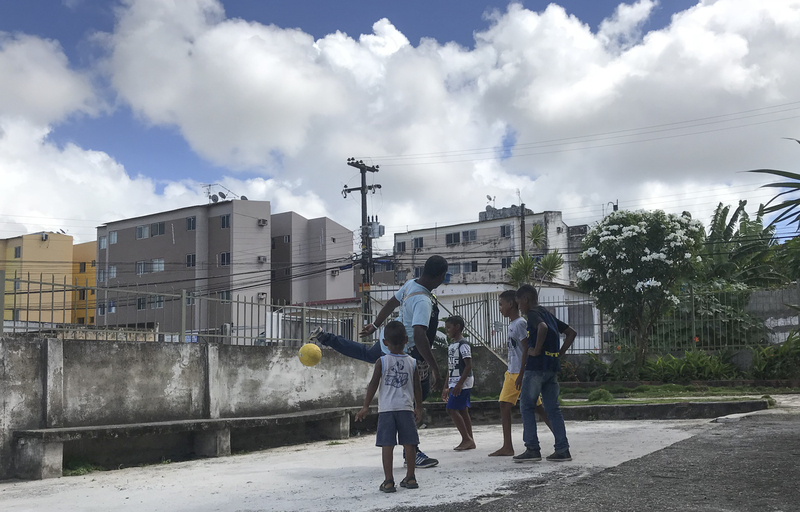 The objective of the American team was to come alongside the local church and multiply their resources and efforts of showing the community that the church had open doors. That the church was a safe place. 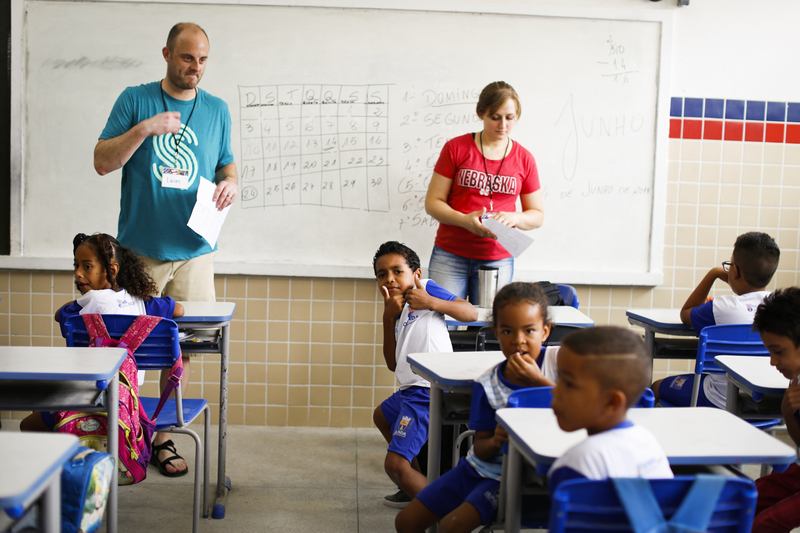 Just before going in to the first school on the first day of lessons, the Americans were warned that they were not allowed to share the gospel, mention the church by name, or anything to do with God at all. However, if they were asked specific questions, they would be permitted to answer. In the first class that was offered, a student asked “So, what do you believe about God?” and one of the teenagers on the trip clearly laid out the gospel. When they walked into that school, the headmaster was a bit hesitant, a bit wary of the whole situation. By the end of two days, he had told the local pastor that he was welcome to come into that school and share whenever he’d like. THAT is a successful English class. 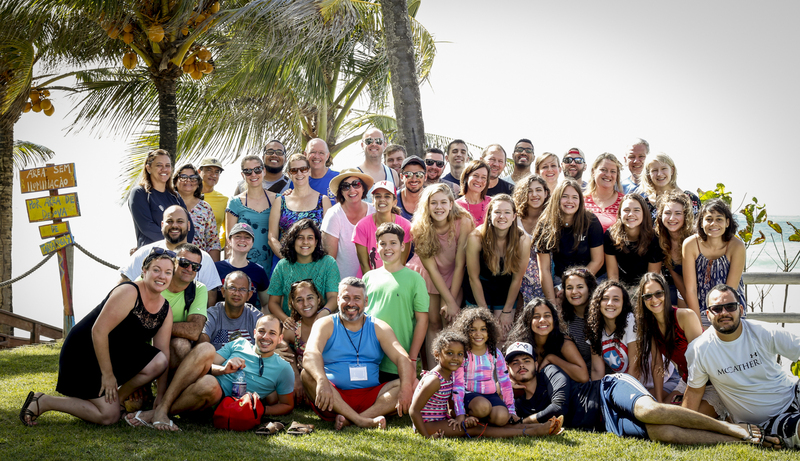 On the last day of the trip, all the Brazilians (southern and northern), Americans, pastors and Spellmans joined forces and headed to a nearby city to lead one last mini-VBS. By this time, our circus had swelled to upwards of 50 people and I was tempted to buy Steve a top hat and cape as the ringmaster. 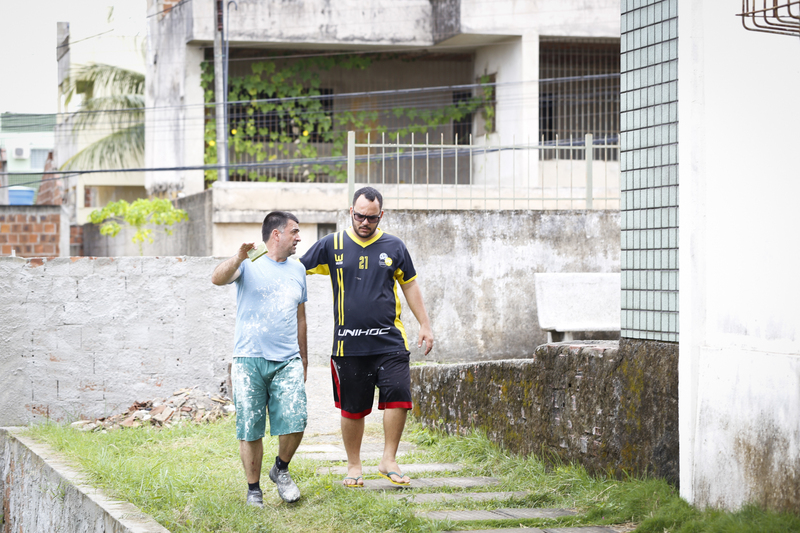 We were able to go to a very poor community that has a huge problem with gang-related violence and drugs. 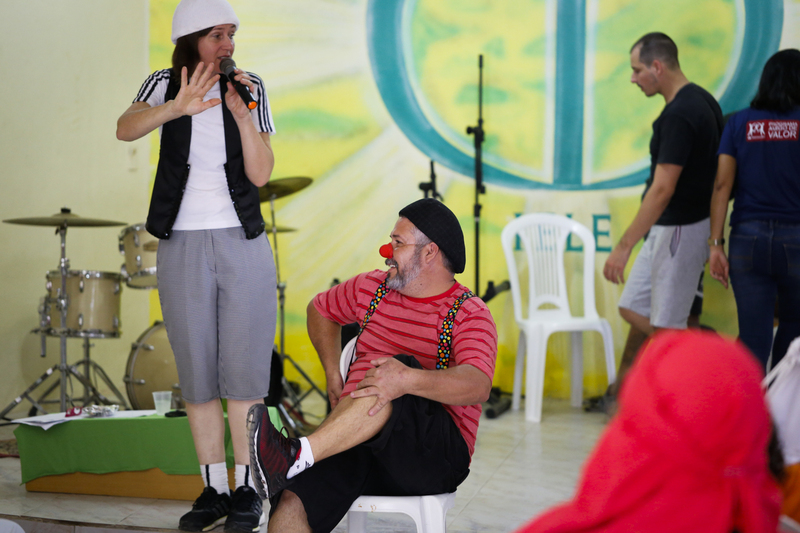 Most people stayed put in the ministry center that supports local children with tutoring and art classes, while some of the Brazilians were able to venture right into the center of the favela and share the gospel (as well as a jiu-jitsu class…hey, they’re from Brazil!) It was a beautiful thing to see multiple nationalities coming together, working side by side, laughing and giving it all they had. You know who the true recipients were that day, though? Of course the children of the community received the Word, but it was the workers who we really went for. The people who serve this community day in and day out, who love these children, who suffer alongside them and know their struggles and hurts–we went to encourage them. They so rarely receive teams, and they definitely never receive teams of 50+ from multiple countries! They took time to share with us the history of their program, what their struggles and needs were, what the children face, what they face. At the end of the day, they were heard. They had new friends, and two new church groups who knew their names and faces and could be praying for them in the days to come. THAT is a successful VBS. The key here is relationship, is communication, is asking. Asking what the real felt needs of the church and community are. Listening to the heart and hopes and struggles of the local churches and pastors and missionaries. Coming with a heart that is willing to serve and learn, that has goals of friendship and prayer rather than finished projects. 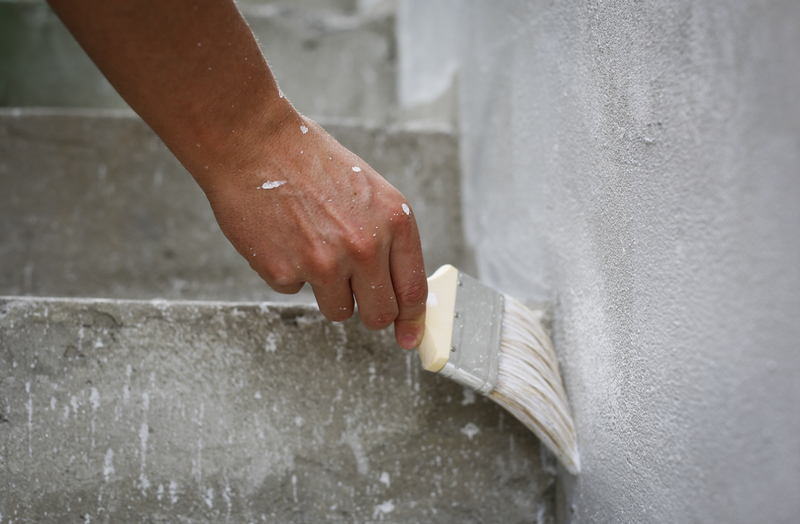 If painting and building maintenance are expressed as helpful tasks, then by all means, pick up your paintbrush! If teaching English is needed as a way to get the foot in the door of the local school, then teach English! If a local pastor is discouraged, then encourage him! If the ministry of long-term missionaries is struggling, or even just feeling isolated, then go, see, hear, learn. Listen, pray, use your resources wisely, plan and be flexible. Next week, I’ll be sharing an interview with the pastors who were on this trip, talking about how to best prepare for a successful trip on the end of the goers. A special thanks goes out to this wonderful group of people who let me follow them around for over a week and continually stick a camera in their face!